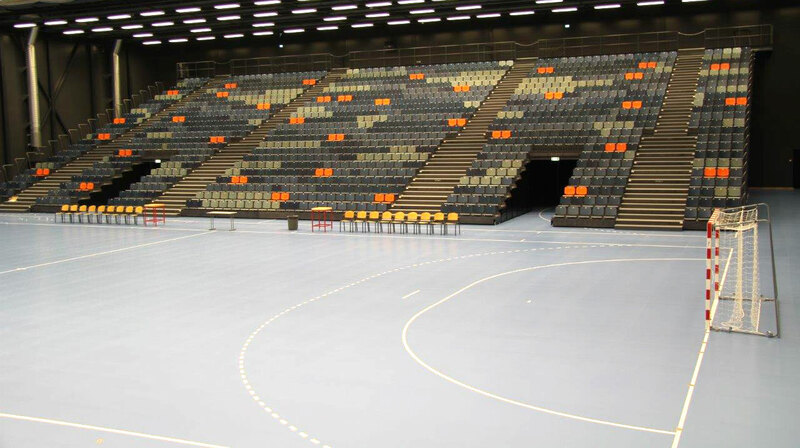 2.800 m2 of sports floor have been installed in Roskilde Sports center, along with telescope stands seating 1.994 spectators. 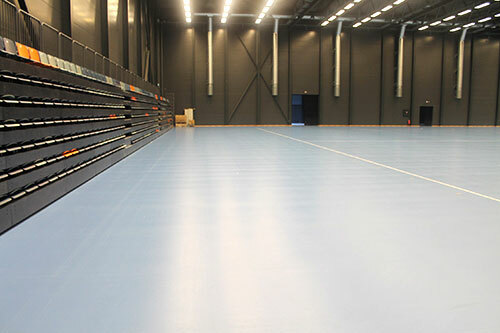 The sports floor is a surface elastic floor, Unisport Elastik PW33, with Taraflex sports vinyl as top cover. The sports floor is spilt up into two handball courts. With the telescope stands, the new sports center that seats around 2.000 people can, in less than 10 minutes, be changed into a free floor area for other activities. 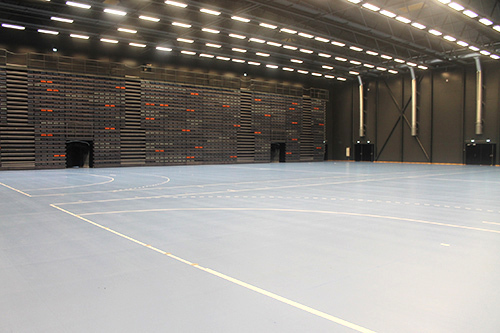 Unisport has installed more than 750.00 m2 Gerflor Taraflex sports floors in Scandinavia. 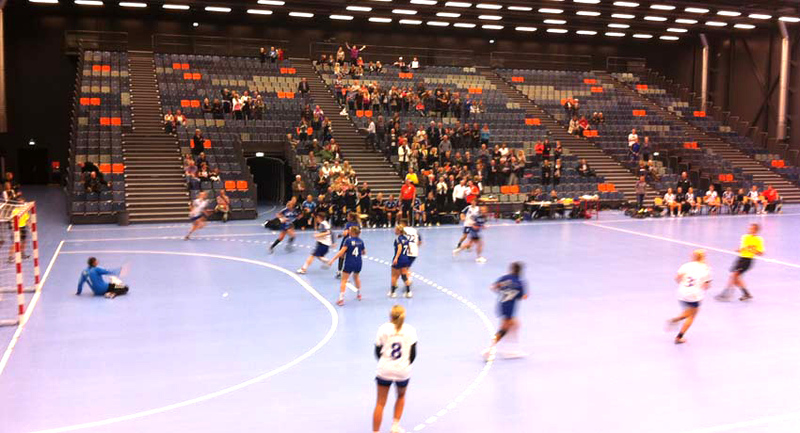 Today you can find the Taraflex cover in hundreds of sports centers, gymnasiums and schools around all of Scandinavia. 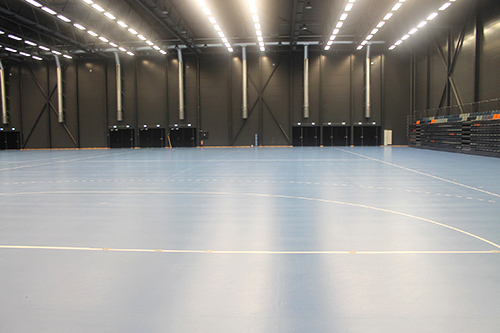 The floor is also used for European and World Championships and The Olympic Games for ballgames like handball, volleyball, table tennis and indoor bandy.